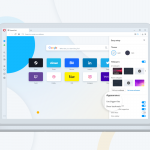 Welcome to the first Opera developer update for 2018. Please read to find some news of this release below. 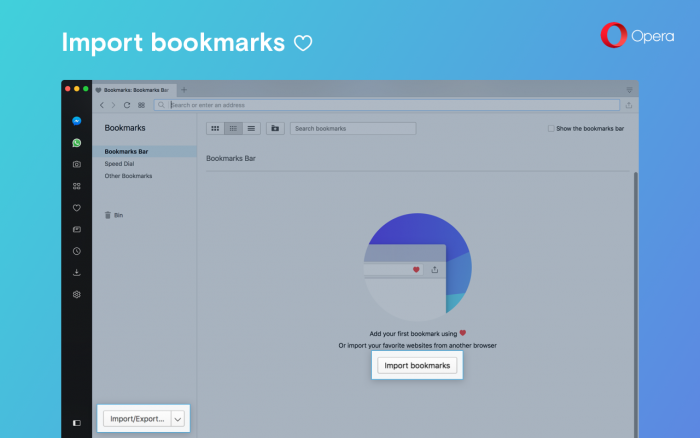 To make Bookmarks manager to be an entry point for all bookmarks actions, we’ve added imported bookmarks as a single folder there together with exported bookmarks, available in the expandable menu. All bookmarks imported from other web browsers will be filed in this folder. 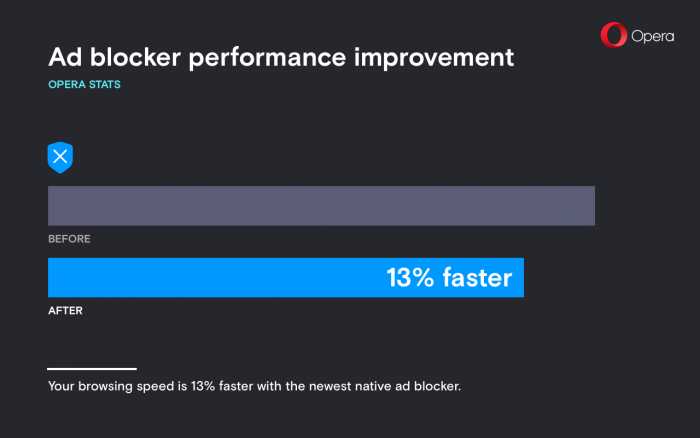 Since we’ve released our native ad blocking feature, we’re still working to improve it. 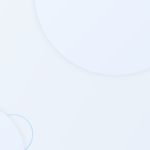 Last week, we added the anti-Bitcoin mining tool as an included feature with our ad blocker. With string matching algorithm improvements, our tests have shown up to 13% average performance increase. Today’s developer update now offers the option to allow Flash to run on all sites without request. 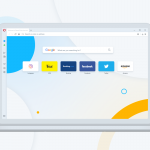 By default, Opera requires sites to ask first before allowing sites to run Flash. If you wish to allow all sites to run Flash without prior request, go to Settings (Preferences on macOS) > Websites > Flash. Opera for Mac now supports AppleScript, allowing you to create snippets for Alfred or automate your workflow easily.